The Patrick Richardson was born in Tulsa Oklahoma, educated in Oberlin Ohio (B.A. Psychology, 2004), and matured in Philadelphia (M.S. Electrical Engineering, 2010). For details on past academic project and writings, musical output, employment or other details of history, consult this CV. I am presently an adjunct teaching faculty and music engineer in the Philadelphia community. 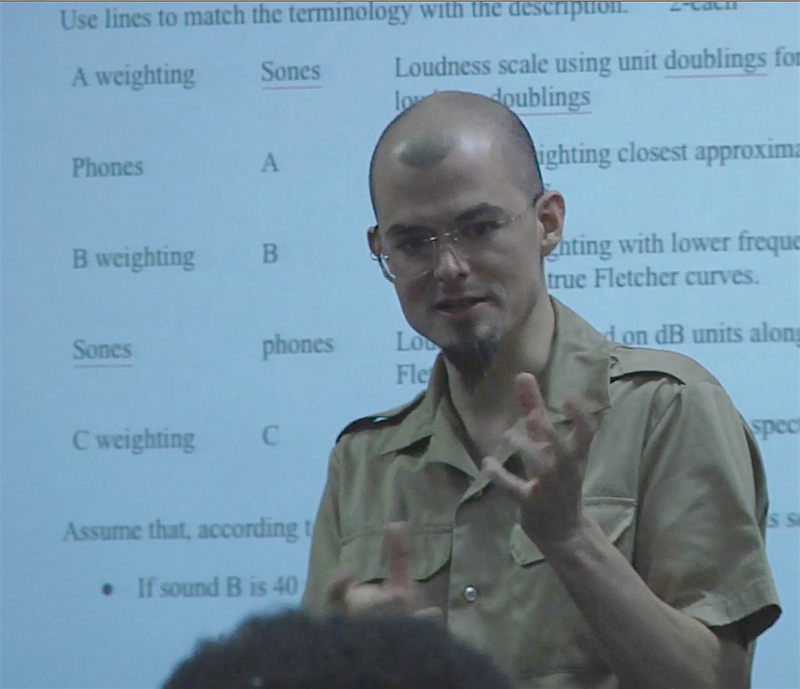 Lecturing on psychological factors of musical acoustics at the Art Institute of Philadelphia. I am (presently/most) interested in the legacy and the future of electronic drums, from the material engineering around the analog piezo sensor to the complexities of digital signal processing translating and extending performance through MIDI (or other) data. I presently eat, sleep, drum, teach, cook, code, solder, repair, read, write, record, and entertain in my home studio/shop in West Philadelphia with my college sweetheart. I maintain a flexible-yet-structured schedule for short-term contract work or long-game creative collaboration among the professional and educational facets of acoustic and electronic music technology.